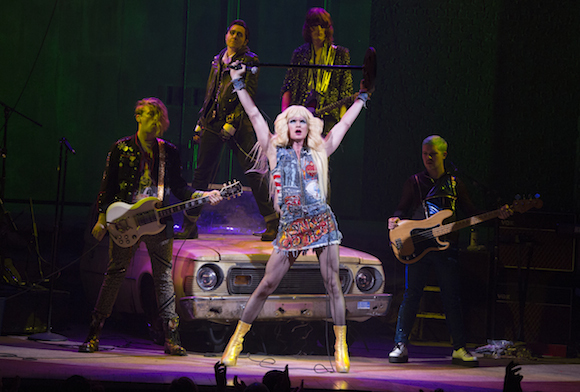 Neil Patrick Harris and the cast of “Hedwig and the Angry Inch” (photo: Joan Marcus) via The Broadway Blog. Before Broadway’s biggest night on Sunday, June 8th, 44 productions will have opened on Broadway in the 2013-14 season. 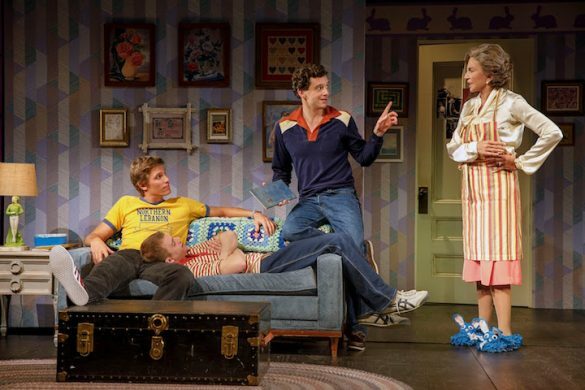 Of those productions, 12 were eligible for Best New Musical and 10 were eligible for Best New Play at the 68th Annual Tony Awards. 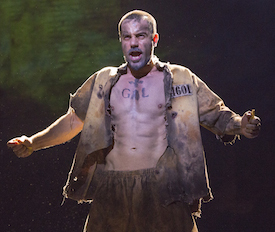 Ramin Karimloo in “Les Misérables” (photo: Matthew Murphy) via The Broadway Blog. Before the Awards ceremony begins, the 110 Tony Award Nominees will walk down 210 feet of red carpet. The Nominees will join an expected 5,500 guests in Radio City Music Hall, which spans a full New York City block wide. During the Tony Awards broadcast, the winners from 26 categories will be announced. These winners will each receive a Tony Award with its signature 3-inch-diameter Tony Medallion that spins atop a 9-inch-tall Tony Statue. The Tony Awards will be broadcast in a live three-hour ceremony from Radio City Music Hall, on the CBS television network on Sunday, June 8, 2014, at 8pm ET. For more information on the Tony Awards, please visitwww.TonyAwards.com. 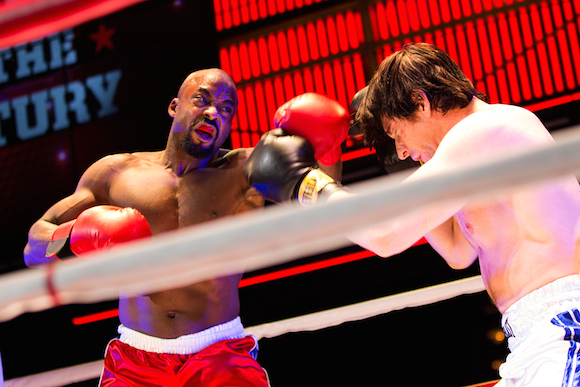 Terence Archie and Andy Karl in “Rocky” (photo: Matthew Murphy) via The Broadway Blog.